Bruichladdich is set to bring the Scotch whisky transparency debate to the Islay Festival this weekend with the unveiling of its 2017 Fèis Ìle bottling. 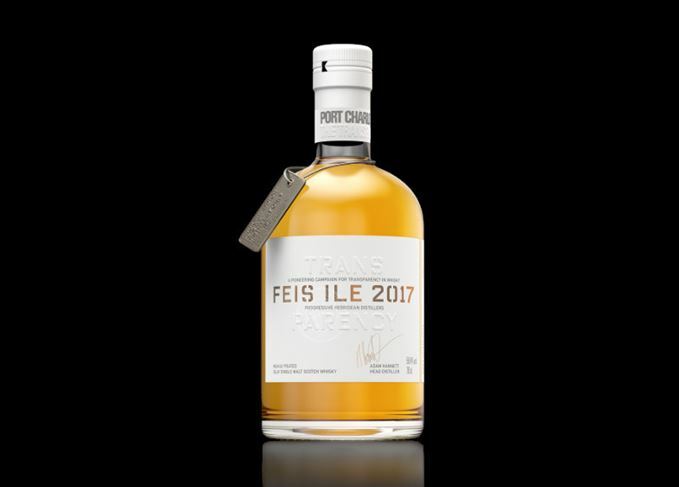 This year’s festival expression from the distillery is a heavily peated Port Charlotte NAS single malt called Transparency, with 1,000 bottles available at £100 each. Due to be launched at Bruichladdich’s distillery open day this Sunday, each Transparency bottle will have a batch code which consumers can use to access the precise recipe of the vatting – which involves 12 casks and seven different cask types – through the Bruichladdich website. A similar system will operate with the imminent release of the distillery’s Octomore ‘OBA Concept’ single malt. This follows a similar resource offered for the distillery’s The Classic Laddie and Port Charlotte Scottish Barley expressions, and is the latest episode in the long-running ‘transparency’ debate in Scotch whisky. This began when whisky company Compass Box was warned that it was breaking EU law by revealing the precise make-up of two whiskies released in 2015, Flaming Heart and This Is Not A Luxury Whisky. Bruichladdich was swift to voice its support for the Compass Box campaign which ensued. Both companies argue that, by only revealing precise recipes to those who request the information, they are compliant with the law, which dictates that only the age of the youngest component of any whisky can be communicated. Bruichladdich believes that EU law ‘explicitly supports’ this stance, since it aims at protecting the consumer, preventing deceptive practices and attaining ‘market transparency and fair competition’. The company also argues that greater transparency will help combat the cynicism with which some whisky lovers have greeted the increasing numbers of NAS (no age stated) releases. ‘We believe therefore that our campaign for “Transparency” will make a significant contribution to addressing this issue,’ Bruichladdich said when announcing the new whisky’s release. A sojourn on Islay prompts a further exploration of the topic of barley and its impact on whisky.